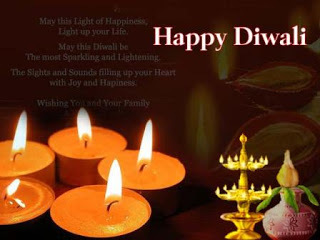 To all our friends that celebrate the Festival of light – Diwali – May you enjoy this day and continue to bring light to the world!!! Hurricane Sandy – True Nursing At It’s Best! NY have battled many in its history, but none were prepared for this. Hurricane Sandy on 10/29/12 unleashed a fury that ignited fears and courage all over New York. I have witnessed personally the devastation brought upon NY by this natural phenomenon and I have seen the true nature of dedication Nurses have to their community. Our clients are wide and vast and I must commend the RNs, LPNs and CNAs for banding together in this great time of need. I’ve heard so many stories that I lost count. Stories of nurses abandoning their vehicle in waist-high water to make it to work, nurses working four plus shifts and not willing to leave until the danger is adverted. I’ve even heard about nurses opening their homes (those that weren’t affected much) to comrades for shelter just to make it to work the next day. Many hospitals were evacuated due to various unforeseen circumstances, but no matter the challenges, the Nursing bond could not be broken. Not one report of failed nursing attempts while evacuating during the torrential down pour, vast flooding and many other constraints thrown at them. When we say Nurses, the titles are long and wide. From the head – Director of Nursing Services down the ladder to CNAs were all hands on deck. Today We Salute You…The Nurses Of NYC!! !